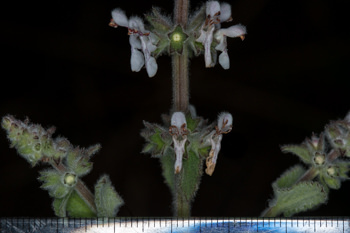 Pitcher Sage - Lepechinia fragrans is a native shrub that is found only (endemic) in California. 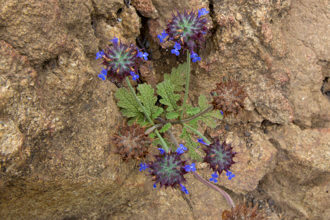 Listed by the California Native Plant Society as a plant of limited distribution - meaning that it is fairly endangered and should be watched. 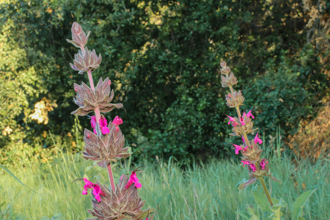 Pitcher Sage can be found along the Backbone Trail between Mishe Mokwa and Mulholland. Like other sage plants, there is an aromatic fragrance released when the leaves are crushed or brushed against. Pitcher Sage has a hairy appearance because of the considerable glandular hairs on all parts of the plant. 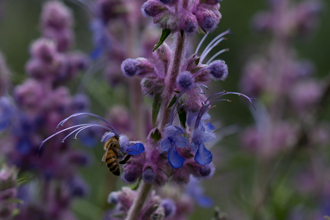 As a shrub, Pitcher Sage is often wider than it is tall, has pronounced, woody, square stems (it is a Mint family member) and in dry conditions can shed leaves as necessary to prevent the loss of water. Two kinds of leaves on this plant. Larger leaves with petioles (stalk between leaf and stem) at the base with smaller leaves (lacking the petiole found in larger leaves) near the top. 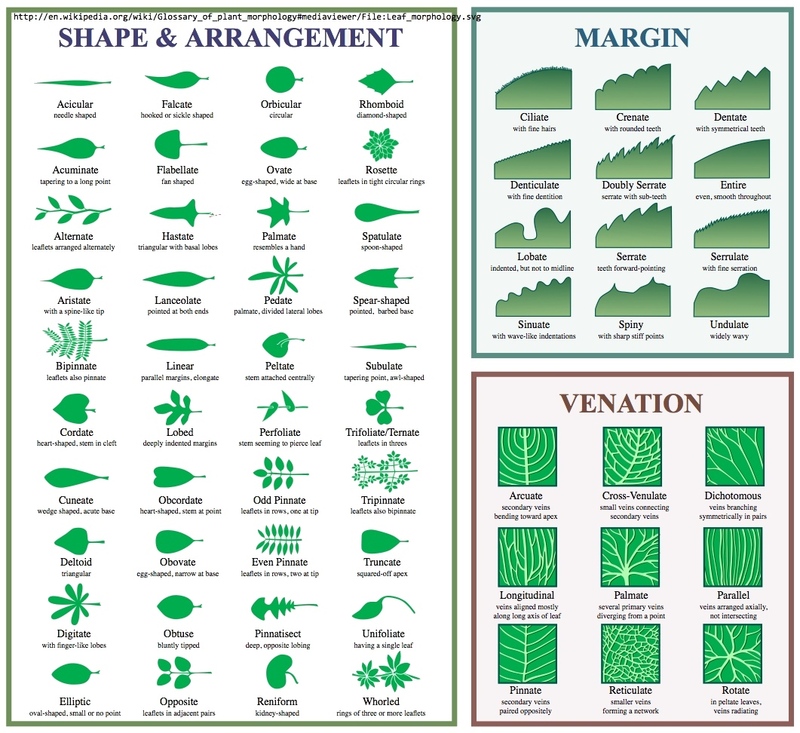 The larger leaves are shed during the dry season and replaced with leaves that are smaller and darker. 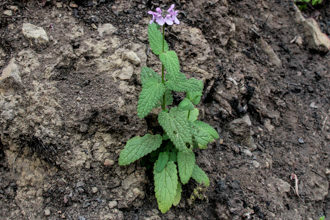 Pitcher Sage is named for the unique shape of the flowers. Petals are fused into a funnel-shaped throat with three upper lobes and the two fused lower lobes forming a pouring spout of the pitcher. Flower color is subtle and ranges from white to yellow to lavender. Often streaks of color and darker veins will provide some color accents. Two pairs of stamens and a double-lobed style – mostly hidden within the flower’s throat provide for the plants ability to reproduce. 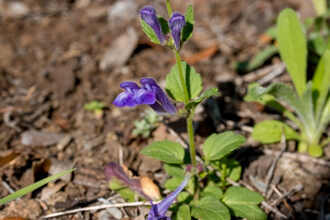 This plant is a Sage family member but not of the genus Salvia. 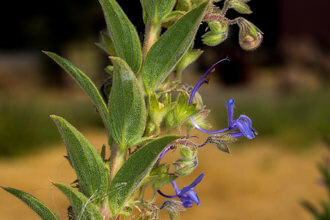 Specific traits of the genus Salvia are having two stamens rather than the four of most flowers and a unique mechanism for pollination. The covering of each stamen is divided down the center and connected. 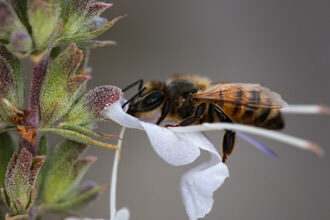 If you ever wondered why those stamens are curving and reach out so far - it is so that an insect probing for nectar will have pollen deposited on its back. Like a lever, the stamen returns to original position as the insect leaves the flower. 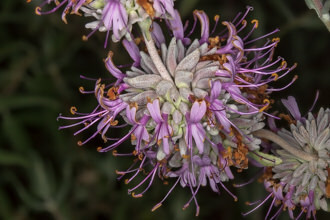 As the flower matures, the calyx (this is the green part of the plant that protects the flower) enlarges and changes from green to somewhat purple-tinged. Eventually it forms a seed capsule with four smooth and round seeds. How was this plant used? 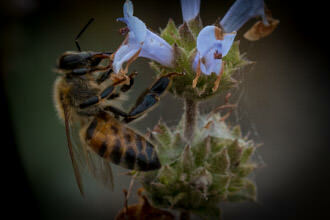 Teas were made from the leaves of Pitcher Sage to treat colds. Seeds were ground, toasted, and then eaten with other seeds. Last modified: May 18 2018 10:20:26.